Baltimore Orioles reliever Zach Britton learned to harness his sinker with a condensed strike zone. His season E.R.A. is 0.69. 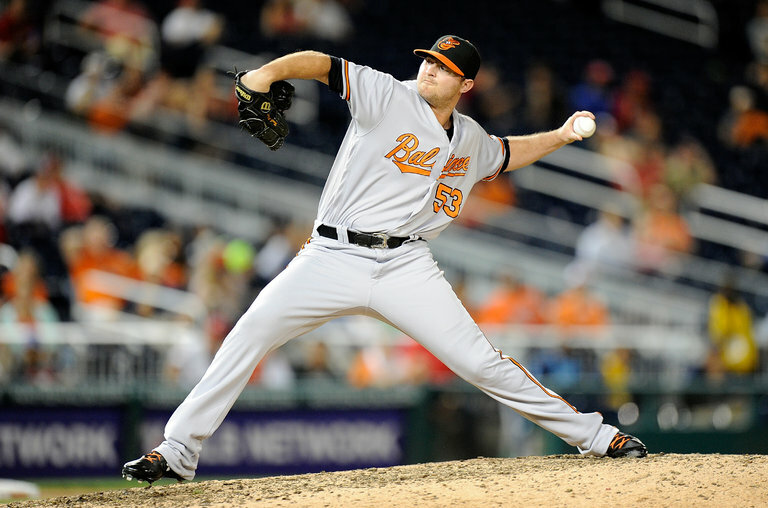 Zach Britton visits Yankee Stadium this weekend with the Baltimore Orioles. He will sit in the left-field bullpen and wait for his chance to close out a victory, and no fans will think about Mariano Rivera. But they should. Britton is a left-handed visitor who has never closed out a World Series, so he is unlike Rivera in the obvious ways. Yet in his manner of dominating the late innings, Britton is probably the closest thing to Rivera since Rivera retired in 2013. He does it all with one devastating pitch. For Britton, the pitch is the sinker, a 96-mile-per-hour anvil that hitters simply cannot lift. According to Fangraphs, Britton’s ground-ball rate (79.7 percent) is by far the best in the majors — a full 15 percentage points better than the next-closest pitcher with at least 50 innings, Boston’s Brad Ziegler.